Tomato Shibby Mod on Asus RT-N16 Router | Random Thoughts! I have been using TomatoUSB custom firmware on my Asus RT-N16 router. It’s a great firmware where you have root access to the device and perform almost all operations that can be done on a Linux workstation. Recently, I wanted to try out IPv6 and this firmware didn’t have support. On doing some some search, finally decided to go with ShibbyMod. Used the latest All-In-One firmware : 1.28.0000 MIPSR2-092 K26 USB AIO(8MB) as RT-N16 has 32MB flash. Upgrade is straightforward from TomatoUSB firmwar. In console -> Goto Admin -> Upgrade. Select the Shibby mod firmware and check the “After flashing, erase all data in NVRAM memory” option. In matter of minutes RT-N16 was upgraded! Will be writing a separate post on how to configure IPv6 tunnel. I am looking to install transmission bittorrent onto router. 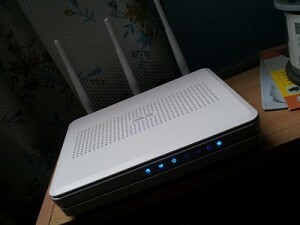 I came across HUAWEI HG556A & D-Link DSL-2750U but found out that they both cannot be flashed to dd-wrt or tomato. So is there anyway to install bittorrent onto these routers as they both have USB PORT for storage and some ROM.